Ian has extensive design, construction and project management experience, planning knowledge and technical skills. He exemplifies FOB values of being Fast, Flexible and Responsive. Perhaps most importantly, Ian has great people skills essential in the delivery of successful complex projects. Ian, has run his own practice for over 20 years and has successfully delivered projects and facilities across most sectors including Residential, Hotels, Leisure, Industrial, Commercial, Processing & Waste-to-Energy across the UK and abroad. 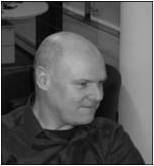 As well as being a highly regarded designer and expert of Leisure & Play facilities, Ian has also been responsible for the design and delivery of some major commercial & industrial projects including Europe’s largest wine bottling plant, a new research and production facility for a carbon fibre manufacturer and a major gasification and recycling facilities. Ian Lectures for the Open University in Innovation, Sustainable Design & Technologies. He is currently applying these skill sets in a number of ground-breaking sustainable design projects in the UK. He is also a Trustee, Director of Estates at Chester-based Charity, “Save the Family” involved in the development of new residential projects for families in distress.